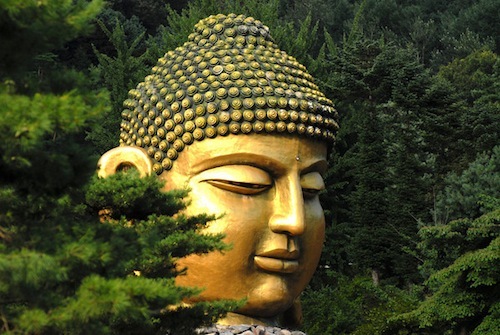 Where is the biggest Buddha head in the world? Waujeongsa, Gyeonggi-do (above. Photo credit: Wake up and Laugh!). It also contains the world’s largest wooden statue of a Buddha in a lying down position. Via @CoolstuffKorea.